I have recently heard that there's a new drink to hit the supermarket shelves. 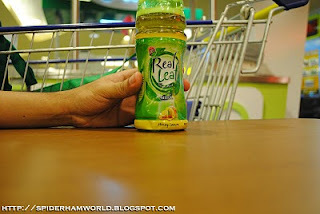 Coca-Cola Philippines launched Real Leaf last December. 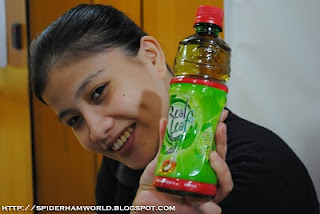 If I am not mistaken, Real Leaf is the first green tea product Coca-Cola Philippines have released. It's a good thing they have decided to release a green tea in their product line. Real Leaf is endorsed by the father-son tandem of Gary and Gab Valenciano. 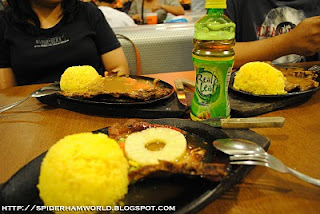 You might have already seen their commercial advertisement on TV lately. As part of their product launching, they have included a contest over the internet for everybody. 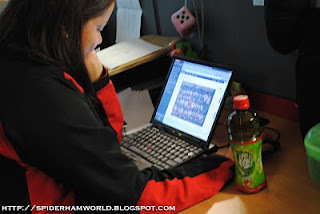 The contest is to take a picture of somebody drinking Real Leaf Green Tea. I have tried and tasted the 3 flavors and find them nice. 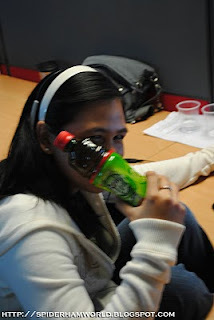 It does not have an after taste that other green tea drinks usually give you after finishing a bottle. After sampling the flavors, I preferred the Honey-Apple among it. Since I recently acquired a camera, I might as well test my shooting skills with this contest. 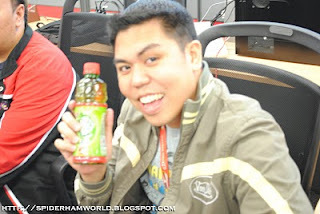 Some of my pictures will not really be valid as an entry but I cannot help to include it for blogging sake. Real Leaf fresh from the grocery cart. 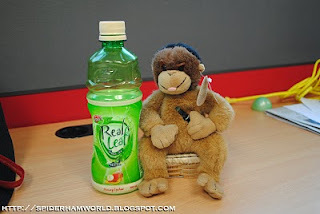 Orange (AKA Orany the Orangutan) might not be able to drink it, but won't it be nice to endorse a fellow Coca-Cola product. Orany is actually a Plush Doll released by Coca-Cola International. Dimples did not hesitate to show her killer smile while posing for the picture. She might get discovered for this shoot. Marie showed a shy type side of her persona while taking a break at her cubicle. My team lead, Monroe, who says he looks like a young actor (ehem!) did not hesitate to pose with Real Leaf. It's been his dream to endorse a product like his look alike. Hopefully I can add another set by tomorrow before the contest ends.